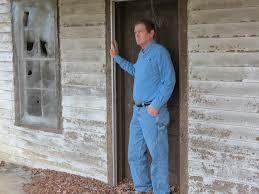 BOLD MONKEY: Book Review/ Interview: Tim Peeler Henry River: An American Ruin. Lummox Press, San Pedro, 2015 (50 pages). 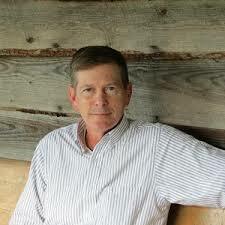 Book Review/ Interview: Tim Peeler Henry River: An American Ruin. Lummox Press, San Pedro, 2015 (50 pages). This collection by the American poet, Tim Peeler, consists of thirty-nine free verse poems about Henry River, a ghost town in the foothills of the Blue Ridge Mountains in North Carolina. The model town built in 1904 was abandoned when the company mill, which manufactured fine cotton yard, went bust in 1973 and was eventually set alight in 1977. 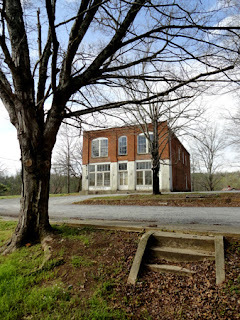 According to Wikipedia, the community of Henry River was designed and built by Michael Erastus Rudisill and others and included a mill, dam, general store and 35 two-storey worker’s cottages, 21 of which are still standing today on the river’s northern bank in Burke County. In 2011 there was a renewed interest in the town when the decaying village was used as the set for the first of the post-apocalyptic Hunger Games films. The poems do not have distinct titles but are simply numbered ‘Henry River 1’ to ‘Henry River 38’. The concluding poem is entitled ‘Henry River, 2014’. The poems adopt a variety of third person perspectives, mainly the critical eye of Peeler as a commentator on the sad passing of the microcosmic American small town and the recollections of Henry River inhabitants- their hopes and joys and fears, when the mill was fully operational. Apart from the bookended first and last poems, the sense of past and present and perspective have been shuffled by Peeler throughout this collection. Sharp emotive musings of life in the vibrant community are intermingled with the poet's closely observed photographs of people and places from the past, together with his derisory commentary on the invasive film crew and the do-gooders on Facebook who now want to save these “ruined houses.” The individual poems are easy to read and each broadens our understanding of how Henry River is viewed through “the slow sledgehammer of time”. Doors swung wide open forever. But have no name for. Peeler, famous for his baseball poems, includes several references to the game in this collection. In one of the early poems, he refers to the “nicknamed boys in overalls/ Because baseball players/ And race car drivers all had one, (HR 3) and in another, he describes the children “Like ghosts in the dusk/ At the ball field/ Catching fireflies/ In the chipped jelly jars/ Till Mommas called/ From one bulb porches/ Up and down the hill” (HR10). There are also descriptions of fathers snoring “Worn out from a day at the mill,/ With a paper in his lap on the porch/ His work shoes propped against the door’ (HR 2), of “gapped toothed boys in overalls/ sit with cane poles on the north bank/…Free as Huckleberry Finn… Just to dream like cork floats/ in the green summer shadows (HR14), of the blind keeper of the general store who “recognized his customers/ By the memorized pattern of their footsteps.” (HR27) & of sharing cold baths with visiting cousins after fishing in the river (HR 29). Yet Peeler cleverly juxtaposes these comfortable, complacent images through his use of time shifts and alternating voices to reveal a fractured America during the Cold War. The small town, despite its idealistic intentions and amenities displays inequalities of wealth, domestic violence and suicide. 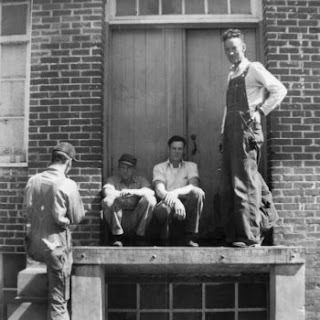 With work at the mill slowing, the young hear the news about the Vietnam war and the protest marches (HR12) and many are lured by “the highway out of town” (HR 8,17). Peeler makes it clear that Henry River is representative of many small post World War 2 towns scattered across America when he writes in Henry River 3, “Could be any mill hill/ In the black and white fifties.” But Peeler poetry is apolitical. He is more interested in imagining a social past, than say, in explaining the economics as to why the mill collapsed in the late 1960s, when at it peak, up to 12,000 spindles were churning out fine combed yarn for lace. My guess is that the demand for lace bottomed out when cheap cotton imports started arriving. To simplify matters, he states that the mill burnt down but this was years after the mill and equipment had been moth-balled. Another mute criticism is that Muller never takes us into the heart of the factory to stand beside the men and watch them at work. The hum of the mill is a constant for the residents of Henry River, but as readers, we are never allowed entry to its mysteries. 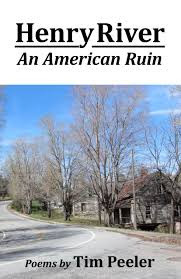 Henry River: An American Ruin is a unique and deeply thought through collection of poetry. 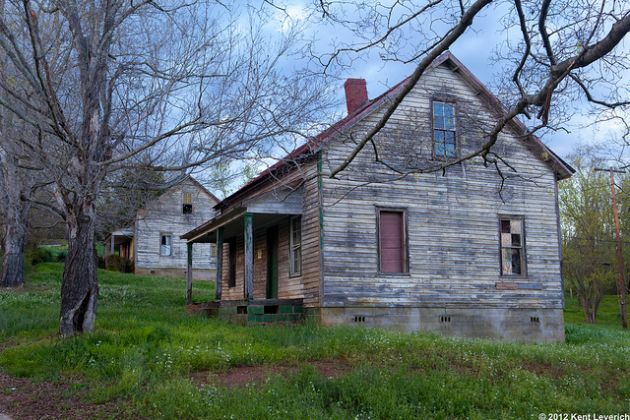 It wonderfully evokes the lost spirit of an abandoned American village and the scavengers who now pick its bones clean. Tim, when did you first develop an interest in poetry and who were some of your early influences? I began writing as an undergraduate. At the time I had only been exposed to the writers that we studied in our English curriculum. The first poet that I read who really excited me was the Rockland, Maine, poet, Leo Connellan who wrote blue collar poems about the lobster men of his native state as well as poems about his time hitchhiking across North America and working menial jobs to finance his travels. When did you start writing the stuff and what were some of your early successes? I began having work published in the small presses in the early 80s, and those early acceptances are maybe the most important successes that a young writer can have. In the mid-80s, I started my own magazine, Third Lung Review and also published chapbooks for other small press poets for ten years or so. I ended up doing thirty-some issues of TLR and published early work of some writers who have gone on to do quite well like BOA poet, Sean Thomas Dougherty and National Book Award winner DA Powell. The pages were also haunted by small press well-knowns like Bukowski, Lyn Lifshin, and Todd Moore. You are a teacher and that must consume most of your day. Where do you find the time to write? Do you have a set routine? Where do your poems come from? Is your writing carefully crafted or spontaneous? Do you do much editing of your work? I do and have done for years most of my writing between 9 and 11 at night. At one time I wrote nearly every night, now not quite so much. At one time I tried to estimate and figured that I had written over 10,000 poems, which of course is far too many for them to be worth a damn. I wish I could say that I knew where they come from, but I’d be lying if I did. Sometimes all I do is wait and nothing happens. When I’m in the middle of a project or a long sequence of narratives, the writing is easy and I often think about it while I’m doing my daily routine, as my novelist friends have told me they do. My writing is more spontaneous than careful though I’ve done this for so long that I most often edit as I go. When work becomes part of a book, it goes through more editing. I firmly believe that craft is learned through repetition, and that most often what we discover in a poem beyond the literal is the result of the hyper attentiveness that can produce a kind of “close” writing as opposed to a “close” reading. Your most distinguished work has often been linked to your baseball poetry. To what extent do you see the game as a metaphor for the American way of life? In America I think we’ve probably moved beyond baseball as a metaphor for our lives. It’s not violent enough to represent us anymore. That’s why football has superceded it as America’s game. So what I write in the baseball poems is in some ways nostalgic. But I often use baseball as a jumping off point to write about anything else. I think that’s why people who aren’t fans have been drawn to the books. A lot of it is about relationships and social problems, all the regular stuff as they say. Turning to Henry River: An American Ruin, when did you first realise you had another book in the making? For example, what specific or accumulative series of events inspired you to write the book? I had been working on that book for five or six years. 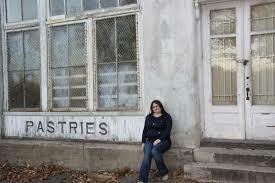 I live a mile south of Henry River and pass through the ghost town every day. I wrote maybe the second half of the book after Lions Gate came in there and shot scenes for The Hunger Games. 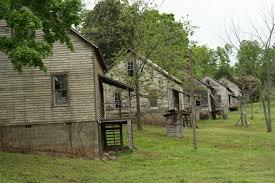 It put a different spin on the property and has made it a tourist destination. I first saw that area when I was in high school. I was lying in the back seat of an activity bus on the way to pitch a baseball game and the coach drove through this magical little place. Back then in the 70s, the road was still canopied by maple trees and the yards featured beautiful crepe myrtles. Years later, I married a woman who had grown up on a small farm just south of Henry River, one she has since inherited and where we live. What research did you have to undertake in the process of writing the book? I talked to a lot of people, both online and in the community and family. I talked to people from the community and a writer from New York who put together a pictorial history of Henry River in 2012. I read a dissertation from a Columbia University student who had carefully researched the history of the mill and the adjoining properties. The rest of it as I say in the introduction, I made up. Why did you number the Henry River poems? The quick answer is that I was maybe too lazy to title them. I’ve actually done two other books, Checking Out, about my years in the motel business, and Knuckle Bear, a gothic southern poem novel that takes place nearby to Henry River, in this same style. In each case, there is a narrative arc or sorts that I felt would be hindered by individual titles. In this case, it probably works better because it lends anonymity to this very anonymous place. Do you see Henry River as a wider symbol for a bygone period in America’s industrial and social past? Yes. Most of these places have been bulldozed or assimilated into the rest of the existing community. Henry River still stands alone, abandoned to its slow motion suicide. There is a lot of nostalgia for the way of life that once thrived there, but I think it is important to remember that most of the people that lived in Henry River lived week to week and often owed money at the end of the month while a few families became incredibly wealthy. It is also important to note that this life, even with the long hours was superior to subsistence farming in a drought year. In Henry River 32 a boy wonders “When he would take that walk,/ Enter the door that kept the dust/ And the whirring machines in.” Why do you never enter the working mill in the collection to breathe life into it? My industrial experience is limited to the summers I spent in the furniture manufacturing plants, so except for in pictures and conversations with relatives, I had no real feel for the textile experience. I didn’t want to try to fake it, so I stayed outside the building and made it mostly about the community. On a more general level, what writers have you come across lately for the first time who have greatly impressed you? I’ve been reading a lot of Appalachian literature the last few years as that has been the focus of my work as well. So I would say poets, Maurice Manning, Tim Earley, Darnell Arnoult, Kathryn Stripling Byer, and novelists David Joy and Julia Franks. There are many more, but you can’t go wrong with these. What general advice would you give to young talented writers of poetry? Like Tim Earley used to tell his students, read a thousand books of poetry before you try to write one. That’s probably an exaggeration, but you get the idea about the importance of reading. I would also say follow your own intuition/heart about what you want to write and endeavor to make it work which no one else could have written. A third book of baseball poems titled Wild in the Strike Zone and a second book of narrative poems about Larry Ledbetter, a country gangster felon turned poet, tentatively titled Rougher Beast. They are both already written so I’m kind of treading water, waiting to see what might be next. Thanks Tim for your time. Tim Peeler Bio: A past winner of the Jim Harrison Award for contributions to baseball literature, he has also been a Casey Award Finalist and a finalist for the SIBA Award. He lives with his wife Penny in Hickory, North Carolina, where he directs the academic assistance programs at Catawba Valley Community College. He has written 13 books and this is his third chapbook.